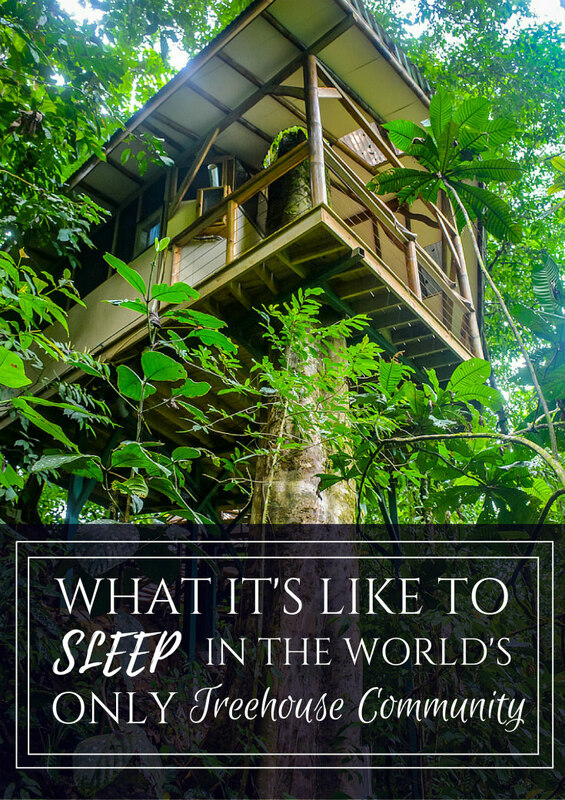 Ever wondered what it’s like to spend the night in a stunning treehouse community in one of the most remote regions of Costa Rica? PLUS we’re sharing an EXCLUSIVE DISCOUNT just for our A Cruising Couple readers! 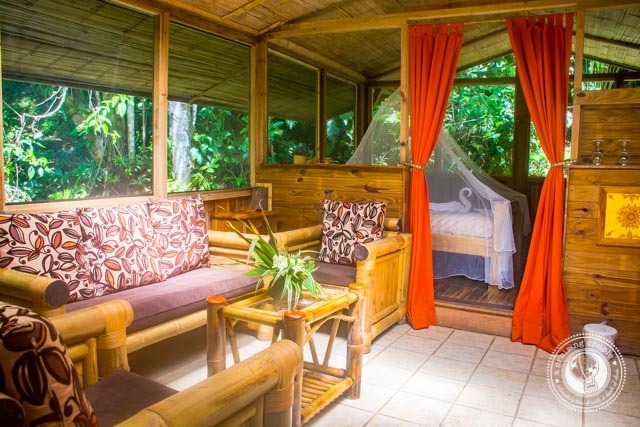 Be sure to scroll to the end of the post to learn how you can get 10% off your stay at Finca Bellavista!! We’ve travelled pretty extensively through Costa Rica at this point. So when we say that the Finca Bellavista Treehouse Community is hands-down one of our favorite places in the country, that means a lot! Our first visit to Finca Bellavista was for a Thanksgiving feast a few years ago. Since that initial trip, we’ve been back to the Finca countless times—and we’ve recommended it to just about everyone who’s come to visit us! And each time we go, we fall even more in love with it. Finca Bellavista is a totally unique Costa Rican experience. Here, you’re glamping in the middle of the jungle. It’s Pura Vida at its finest, with nothing but the lush nature, spectacular wildlife and a handful of other adventurous souls around. Granted, it’s not for everyone. 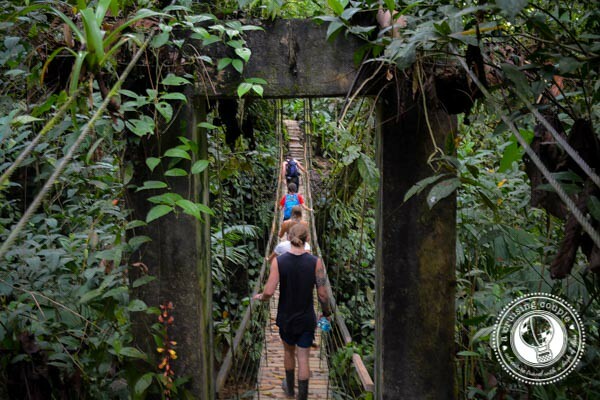 The treehouses are remote, and you’ll have to cross a suspension bridge and hike along steep paths to arrive at most of them. Some of the houses have electricity and fully equipped kitchens—others are a bit more rustic. But for those who want an off-the-beaten track adventure, you won’t be disappointed. 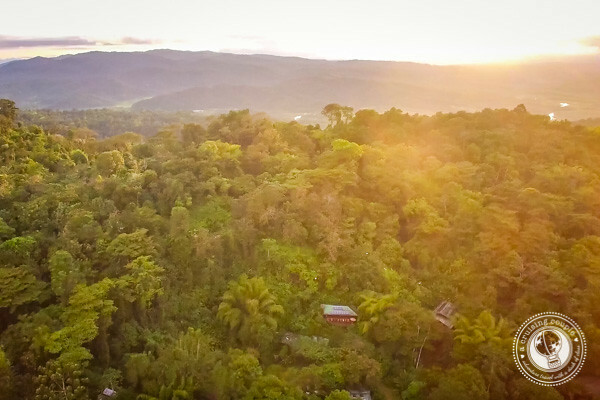 Before we dive into more of the details below, don’t miss this travel video we put together to sum up our amazing Finca Bellavista Treehouse Community experience! 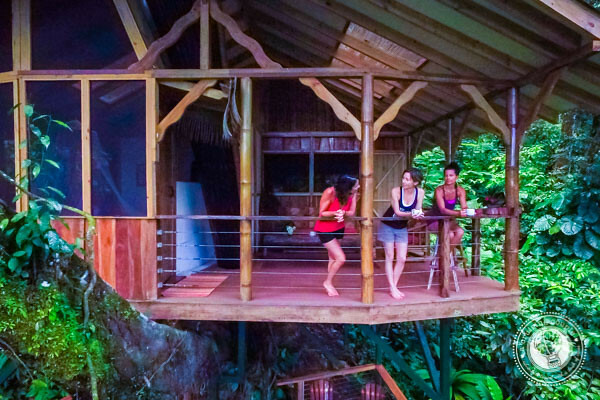 Consisting of over 600 acres of wild rainforest, two whitewater rivers and 25 structures (five of which are true treehouses), Finca Bellavista is the world’s first planned, modern, sustainable treehouse community. Erica, the co-founder, admits that they never intended such a feat. She had fallen in love with Costa Rica and was looking for a piece of property to call her own, likely a small surf shack or beach hut fixer-upper. But then she stumbled upon the land where Finca Bellavista now lies. This stretch of jungle was originally the home for about twenty indigenous families who worked and lived the land. When, unfortunately, their school burned down, they decided to relocate to other towns nearby and sell the property. The stunning land was put on the market as a timber harvest site, but Erica and her partner knew they couldn’t let this piece of paradise be destroyed. One thing led to another, and the idea of a treehouse community was born! When we first heard the word treehouse, we imagined something similar to what we played on as children: one-room, rickety wooden structures, perhaps with a ‘No Girls’ sign propped out in front. But the houses at Finca Bellavista are works of art, each its own handcrafted masterpiece with indoor plumbing, kitchens—even hot water! Given the climate of living in a rain forest, what they’ve been able to do in a limited timeframe is extraordinary. 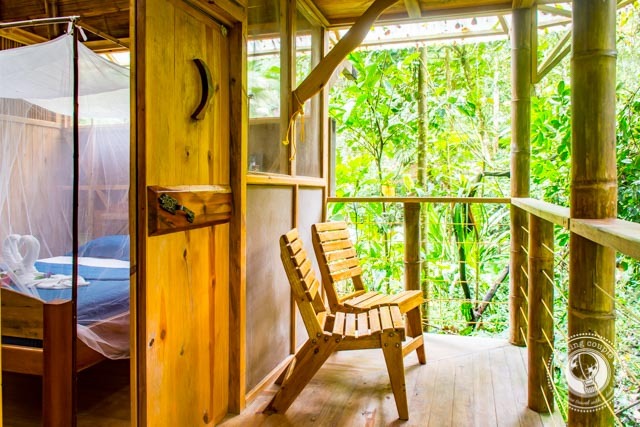 Finca Bellavista is glamping at its finest, in the treetops of Costa Rica. 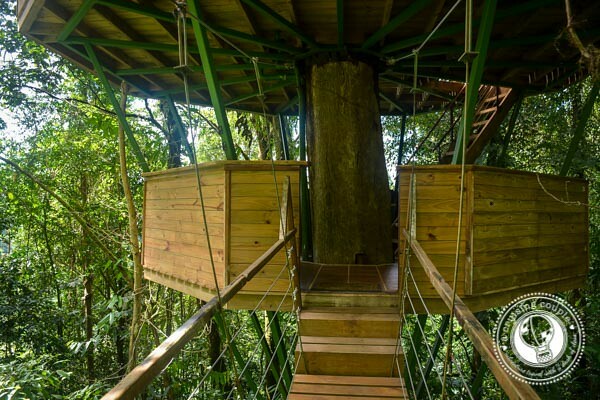 Each treehouse is either supported by stilts or built entirely into the trees. The construction of the treehouses allows the trees to continue growing and thriving, ensuring the long-term sustainability of the project. It also means that the design and construction teams have to get creative, often finding ways to incorporate branches in the living areas or suspension bridges from one room to the next. It’s all very Swiss Family Robinson, just a touch more upscale. 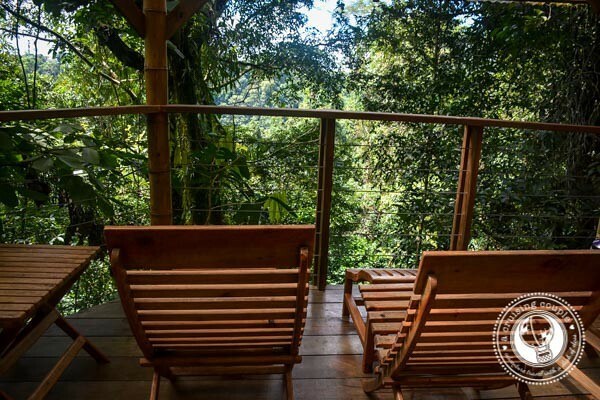 Though Finca Bellavista is a treehouse community, each treehouse is extremely remote and private. Our accommodation was the closest to “Basecamp”, yet it was still a 20-minute walk through the jungle and across a suspension bridge to get there. 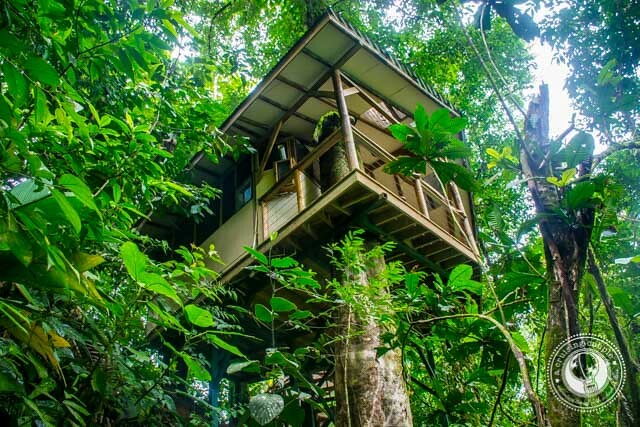 But the journey is well worth the reward; each treehouse offers the ultimate in peace and seclusion as they are quite literally in the middle of nowhere. 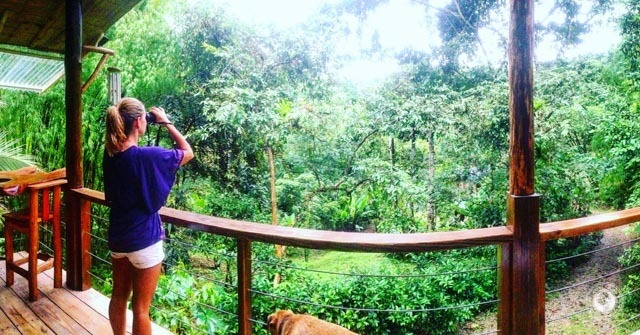 One of our favorite parts of escaping to Finca Bellavista is waking up early to the sounds of the jungle, grabbing a cup of coffee, and simply enjoying the view from the porch. It’s always tempting not to leave the treehouse at all, but with such stunning nature, we typically make it out for at least one daily adventure. The rest of our time is then spent reading, drinking wine, mingling with other guests in the beautiful rancho, and otherwise relaxing. 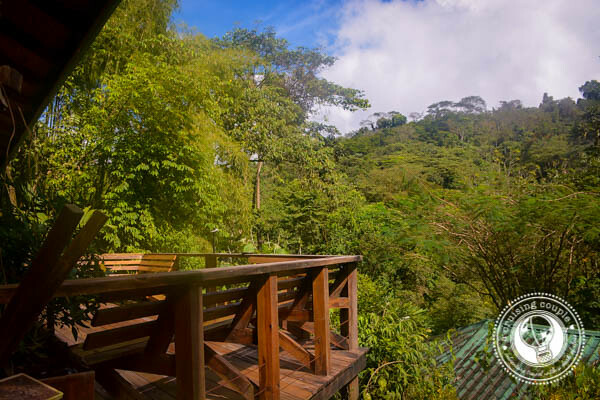 Some of the most popular things to do at Finca Bellavista include morning yoga, canopy ziplining, hiking, and trekking to waterfalls. We’ve now tried it all, but our favorite activity is probably going for a dip in the nearby swimming holes, one of which is accessible after a twenty-minute wade down a beautiful river. The waterfall is gorgeous though, and we especially love the zip line that takes you over the river. If you’ve always dreamed of having a vacation that is out of the ordinary, Finca Bellavista is a pretty epic alternative to the standard hotel stay. 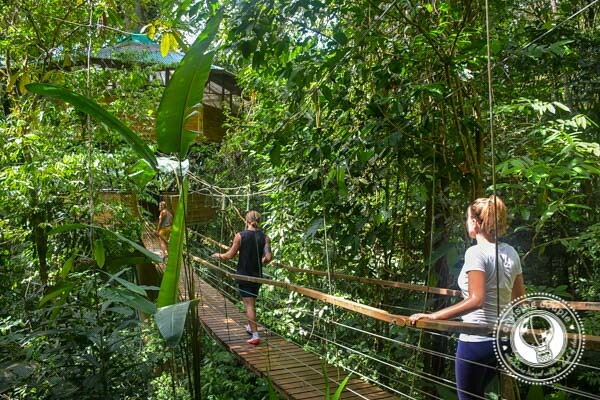 Hidden away in the middle of the Costa Rican jungle, this once-in-a-lifetime experience is one that is sure to bring back your inner wonder and allow you to truly escape. Don’t miss this EXCLUSIVE DISCOUNT just for our A Cruising Couple readers. Click Here & Use The Promo Code “CruisingCouple” to receive 10% off your stay! 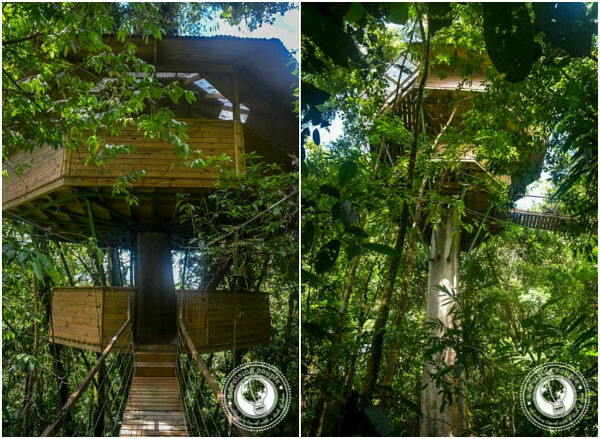 Finca Bellavista’s treehouses are the only we’ve visited, but now we certainly have other treehouses around the globe on our radar! It’s such a perfect way to take a digital detox and reconnect with awe-inspiring nature. 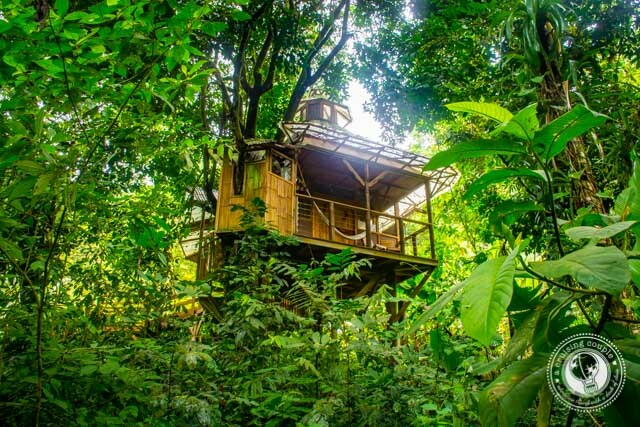 So tell us—have you ever stayed in a treehouse? Have you heard of Finca Bellavista? As always, we love to hear your stories and questions in the comments below! Amazing photos of an awesome place. Almost makes me want to try zip lining…almost! Thanks for sharing this.